What better way to give dad a great day than to make him smile. With some funny Father's Day jokes, you can do just that. What better way to give dad a great day than to make him smile. With some funny Father’s Day jokes, you can do just that. 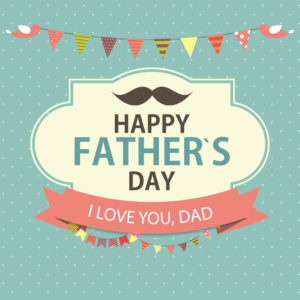 This sampling of Father’s Day jokes from all over the internet will surely tickle your father’s funny bone this Father’s Day. - Well, what do you know? I’m lost. We’ll have to stop and get some directions. - Well, honey, you are thirteen now. I bet you’re ready for un-chaperoned car dates! - I like all of your friends’ “Up Yours” attitudes. - No, I don’t actually know what is wrong with your car. - Son, let’s go to the mall and get you an earring. - You don’t need a job! I have plenty of money for you to spend. - Father’s Day? Don’t worry about that. It’s no big deal! Daddy, daddy, can I have another glass of water? But I’ve already given you ten! I know, but the bedroom is still on fire! Junior had just received his brand new driver’s license. To celebrate the special day, the whole family went out to the driveway and climbed into the car for his first official drive. Dad went immediately to the back seat, right behind the newly licensed driver. “I’ll bet you are back there to get a change of scenery, right? After all these months of sitting up here, teaching me how to drive?” Junior said to his dad.